There are so many types of gluten-free flours out there right now to make your own gluten-free pie crusts! I love Cup4Cup, King Arthur, and Pamela’s around holiday time. I modified my regular single crust recipe just a bit and got a great gluten free pie crust. To smooth out the flavors of gluten free flour, I add a little sugar to balance out the flavor. This super easy pie crust is gluten free! Cut the flour, salt, and sugar into chilled butter with a pastry blender or two forks OR use a food processor. Using extra flour, sprinkle your countertop with gluten free flour and roll the dough starting from the center until it is larger than the size of the pie pan you are using. When rolling out gluten free dough, because it tends to fall apart a little easier than regular pie crust, I generally do not fold it, flip it, and roll it out on the other side. Less is more. If the dough starts to stick to the counter, lift it and rotate it, adding additional flour. Use a spatula to lift the crust gently from the counter without tearing it, and place it in the pie plate - repairing the tears as necessary. 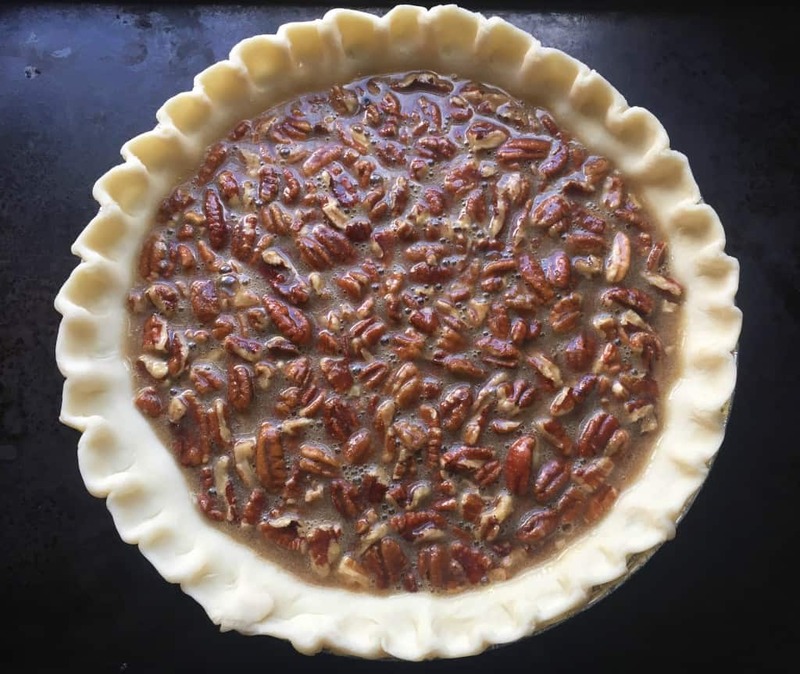 Crimp the edges and your pie is ready for its filling! 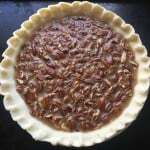 For this pie crust, we used the last of our local North Carolina pecans to make a delicious pecan pie – aka Papa’s Pecan Pie. Yum. Happy Baking! Gluten Free Pie Crust – Doesn’t It Look Amazing?